So much of what we believe is right and common sense does not seem like right or common sense to others. So much of what we believe is right and common sense in our community and our natural world does not seem like right or common sense to others. So much of what we believe is right and common sense in our profession and our business does not seem like right or common sense to others. The stakes for ourselves, our communities, our organizations, our nation and our world seem to escalate. So much challenge, conflict, and change is happening now. We have never been here before. Elders are limited in their guidance to us. Where may we turn for wisdom? Together A Forest is the prologue to my new book Break Through To Yes creates a metaphor for how we sustain one another and stand together. “Trees collaborate in nature, but have no knowledge of collaboration in the face of human destruction. 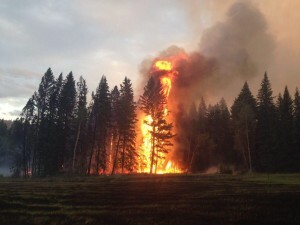 Humans collaborate and can learn together to change what seems to be tragic, inevitable consequences.” Our forests, now more than ever, are at risk from ignorance, separation, haters, fire starters, and wall builders. When I spoke at Pepperdine University, Santa Monica, California, in 2014, a Judge approached me and asked; “David, you are different. Are you an environmentalist or an oil man?” I am both. I am more. We are both. We are more. We see outrage, ignorance and “us” versus “them”, heroes and villains constantly being highlighted in conversations, politics, media and social media. Do you commit to breaking them down? While helping others come together, embrace conflict and work together is not easy, it is profound work. I am a proponent of creating shared value based on our shared values and our vision for our shared future. I am a proponent of intelligent, inclusive, respectful and creative dialogue. To my oil and gas friends, I am an outlier for change. I challenge them. I incite insurgency through collaboration. For my indigenous friends, I am the same. For my sustainability friends, I am the same. I stand for we. To our grandmothers and grandfathers. To our granddaughters and grandsons. We see the massive challenges facing our youth, our aboriginal peoples, entrepreneurs, our communities and our earth experience. There is a way to enlighten these conversations and challenges. Consider that all the expertise and experience we each have may not be enough to effectively and successfully deal with the great challenges we face today as individuals, families, organizations, professions and nations. Consider the collective wisdom that is possible from a circle of listening, speaking, understanding and co-creating solutions. This is an invitation to engage with people who care about subjects and questions that matter to you and your organization. Your circle or team will be most successful in solving significant challenges when you bring in others whose opinions and experiences are very different from yours. We can no longer afford “groupthink” or “yes men.” The stakes are high. We must invite in the First Nations, the environmentalists, the Americans, the Asians, the youth, the wise women and all. We must embrace conflict. We will create a healthy, inclusive and sustainable future together. Share your vision and let’s work together using my 10 Essential Steps to Collaboration to Make It So (#10). 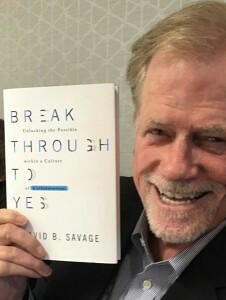 This includes excerpts from Break Through To Yes: Unlocking the Possible within a Culture of Collaboration. Available now at all major and many independent books stores.